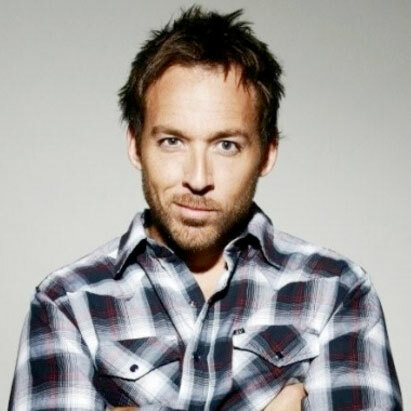 Eddie Ifft has been called one of the most underrated comics in America by the Onion and has proudly told jokes around the world to sold-out crowds in over 15 countries. Most recently Eddie is co-host of one of the most successful podcasts in the comedy world called Talkin’ Sh*t. He has also released his own 30-minute special for Comedy Central and made numerous TV appearances on shows such as Showtime’s the Green Room with Paul Provenza, Showtime’s Tommy Chong 420 Show, E!’s Chelsea Lately, NBC’s Last Comic Standing, Comedy Central’s Premium Blend, BET’s Comic View, NBC’s Late Friday Night, VH1′s Never Mind the Buzzcocks, Comic’s Unleashed.. Eddie’s popularity has span to Australia, where he has appeared on numerous TV shows, including Rove, Thank God You’re Here, The Footy Show and Good News Week. Eddie has also worked as the host of Shark Week, spent a season as the ABC College Football Guy, earned a job as ‘man-on-the-street’ on the Queen Latifah Show, hosted a pilot called Strap-On for Comedy Central, and co-hosted a sports radio show on New York’s legendary WNEW.